Fatima: Sister Agnes reads and tells the story of Our Lady of Fatima. Thank you, Sister Agnes! Kindergarteners and First Graders had a blast on 100's Day. 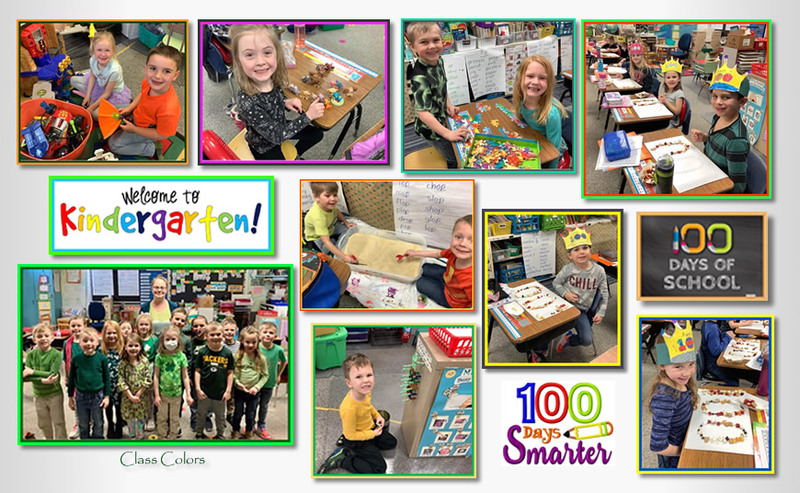 Enjoy the pictures of our silliness as we celebrate the 100th day of school! Through the Treasures Reading and Language Arts Program, kindergarteners at St. Mary's learn through different themes each week that five and six year olds can relate to. Our curriculum takes us through two weeks of new material, followed by a third week of review. Below are some of the many skills and concepts focused on throughout the year. Using Houghton Mifflin Math, kindergarten students explore and discover math concepts. Literature and problem solving techniques are used frequently to enhance understanding of the following concepts. St. Mary's kindergarteners' faith is enriched by Sadlier's We Believe series. The units include prepared lessons on the following. Students develop and understanding of his or her Catholic faith by daily FAITH STATEMENTS, the CATECHISM, SCRIPTURE and the RITES OF THE CHURCH, SAINTS, FEASTS, and DEVOTIONS. Many times our religion theme or the church season will tie in well with our reading , math, science or social studies concepts. The class also attends weekly Mass every Wednesday morning. We help worship and praise God by singing at church from time to time. They pray regularly on arrival to school, before meals, and before departing, or whenever the desire arrives. Science and social studies classes are planned along with the themes from religion and literacy , and seasonal lessons. Kindergarten students at St. Mary's School are blessed to experience a few fieldtrips throughout the school year. They either go to the pumpkin patch or the apple orchard in the fall, the Grand Theater, the Public Library, and a spring trip of some kind. Hello, my name is Anna Blume, the 5-K teacher at St. Mary’s School. I have grown up in Marathon and am an alumnus of St, Mary’s and Marathon High School. I enjoyed growing up in Marathon and have many great memories here. After high school, I had attended UW- Marathon County and then transferred to UW- Eau Claire where I had earned a Bachelor’s in Humans Sciences and Education with a minor in Language Arts. Through my education at UW- Eau Claire I have had many opportunities to work with children in Pre-K, 1st, 4th, 5th and 6th grade classrooms. 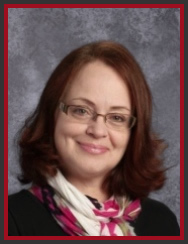 2019 was my first year at St. Mary’s and my first teaching position. I have enjoyed working with the students, because it is rewarding and challenging. I want students to have a love of learning, so they will want to gain more knowledge about the world which will aid them in their futures. When I am not teaching, I enjoy spending time with my family and friends. I love music and play piano and guitar. I love to explore new places and hope to travel around the world.